Today I have an author feature from His Perfect Wife. Out now in paperback, Kindle and audio book. She was his perfect wife, until she went missing . . .
Alexandra Southwood has vanished. Her husband, Marc, is beside himself. It isn’t long before the police are searching for a body. But Alexandra is alive – trapped, far away from her husband and young daughters. Desperate, Marc will stop at nothing to find the woman he loves. Even if it means discovering that he never really knew her at all. 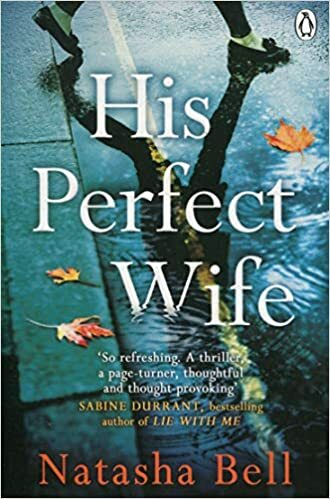 Because Alexandra is no ordinary missing person – but then neither is she quite a perfect wife . .
Six hours down, forty-two to go. I wish I could put myself there with him. I’d wrap first my arms and then my legs around his body, cling to him until we lost our balance and tumbled to the hallway floor. Tell him with my touch the one thing he needed to know that night: I’m here. Right here. That title sounds ominous! Thanks for sharing the book.